The email preheader – or preview text – is an extra piece of text that the recipient sees before they even open the email. Depending on the email client, it is usually displayed either next to or below the subject line – and provides yet another opportunity to stand out in the inbox. The preheader is one of the first things that the reader sees, so be sure to make it count. When adding preheader text to your emails, the goal is to pique the reader’s interest. You can expand on the subject line or include a special supplementary message. The preheader length varies for each email client, but should always be catchy, concise and appealing. You can provide a quick summary of what the email is about, or inform the reader of a discount or offer. Whatever you include, the preheader is a great way to captivate the reader with an exciting sneak preview. Just like the subject line, you can use personalization to make your email preview text even more engaging. Grab the reader’s attention by inserting their first name or hometown, for example. This immediately highlights the relevance of your email – giving the reader even more reason to open it. 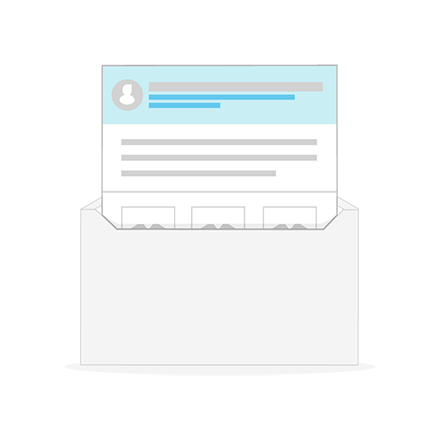 With Newsletter2Go, inserting a catchy email preview text is easy. Simply type it into the Preview Text field under the “Details” tab when creating your campaign. To insert a personalization, just click to set the attributes that you want to include, such as first name. Our email marketing software supports a preheader length of up to 255 characters – long enough to include a Tweet! An interesting email preheader is an effective way to engage your audience. With this extra set of characters, you can emphasize the value of your email and entice your subscribers to open it. Of course, this is great for improving your open rates, which you can easily monitor with our email tracking features. Once the reader goes into your email, they are much more likely to read and click through the content – maximizing your chances of a conversion. Optimize your email preheaders for even more engaging email campaigns.